What a week for Democrats. The House GOP finally agreed over New Year’s to a stop-gap measure on the Washington-created fiscal cliff. Then the Republicans pissed on the Corn Flakes of Sandy victims by not taking up disaster relief – until days later. 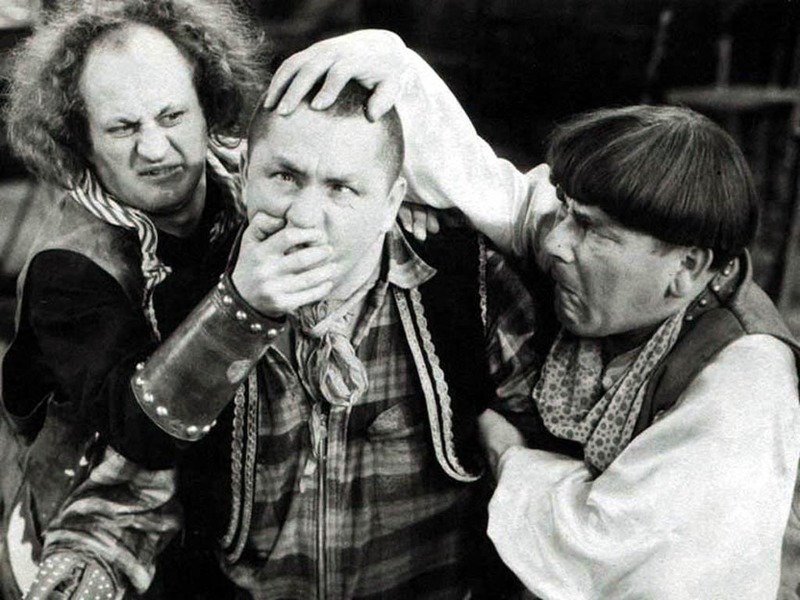 It looked like The House GOP was doing the work of three men: Moe, Larry, and Curly. That’s the Democratic vision of the GOP – a political slap-stick. Seriously, folks, let’s not get caught up in the Democrats winning this political chapter and the GOP looking like the Philadelphia Eagles trying to tell us they’re a Super Bowl contender. Think about it. What have the Democrats and Republicans have really done over the past couple of years? They have created massive inaction while laying it solely at the feet of the Tea Party — a Tea Party that has been pilloried, bloated, used and abused by both parties — for political entertainment while we, as a nation, flounder. 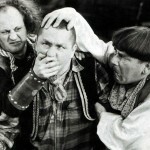 Democrats have swift-boated the Tea Party to make them look like Al Gore’s garbled and misunderstood internet claims. Democrats have also turned the Tea Party into the Taliban, or worse Grenada. Meanwhile, the left-leaning so-called Progressives have done their best Bush/Cheney — or Pumped-up Reagan — to avoid any kind of fiscal sanity. At the same time, the Republicans have used the Tea Party for political gains and then tossed them aside as wing-nuts. Wait, you say. Is Daly going Tea Party on us? Yes and no. Hear me out. Boehner & Company stumbled around the sequester and eventually passed a stop-gap measure that took an alliance of Democrats and Republicans in the Senate – mainly VP Biden and Leader McConnell – – that excluded most Tea Partiers. That deal did nothing to reduce the deficit or at least address the long-term imbalances. Worse, it raised the payroll tax on middle class workers. Hey, nice incentive to avoid unemployment insurance payouts. And the Tea Party responded in its usual way. They forced Boehner to say he will run us toward cliff again in March. And to appease them further, Boehner wouldn’t even take up the disaster relief bill for Sandy victims. The Democrats – especially on MSNBC – couldn’t imagine a better New Year gift. The Tea Party was emasculated by its so-called political hosts and enablers, the Republican House Caucus. 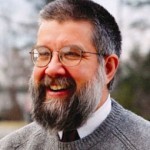 And even the most vitriolic of the Tea Partiers – Alan West and Joe Walsh – were heading to the door after election losses. Rest assured, I have not been hit in the head with a musket or a sign that reads, “Keep your hands off my Medicare.” Many of the current Tea Partiers, in my view, are somewhat crazed, myopic, bigoted, and out of touch. In addition, if you read enough historians, you find the Tea Party revisionists as some of the funniest comedy writers ever. In the HBO series Newsroom, the Jeff Daniels character (the main news anchor) has a 5 minute soliloquy annihilating the Tea Party. It concludes with the analogy that the Tea Party is the American Taliban. But let’s take the comparison of the Tea Party to Taliban. It works on many levels. However, don’t just look at the Tea Party as political terrorists. Try to see them as victims. Come on, just go along. 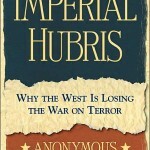 One of the best books of the post-911 years was Imperial Hubris: Why The West Is Losing The War on Terror by Michael Scheuer. 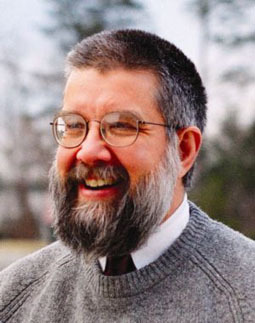 Scheuer was a CIA analyst. 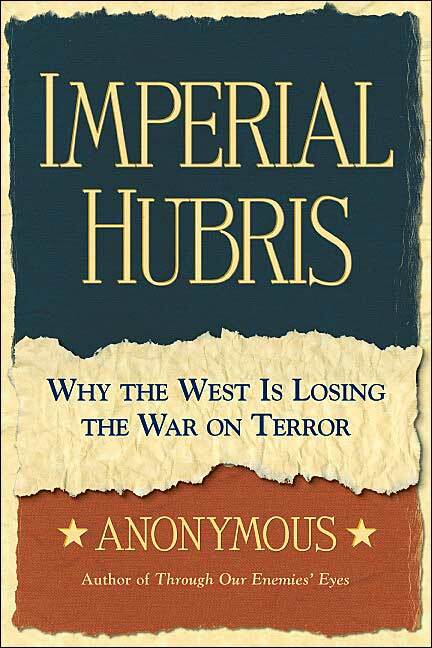 His book brilliantly shows why the Middle East hates us. He shows us how our policies and our economic needs – mainly oil – angered Muslim leaders and allowed them to foster an environment of corruption (Saudi Arabia, Iraq, and Iran) where young man without jobs would instead find honor in jihad with bombs, guns, and even box cutters. Granted, no one should pat these boys-turned-terrorists on the head and say, “That’s OK. We understand. You were misunderstood.” Hell, no. But if we’re honest with ourselves, we Americans know that some of the causes of the chaos in the Middle East belong to us: namely our oil policy since the 1970s. I am not going all “bleeding heart” here: we’re not the main cause; Middle East rulers have a lot to answer to their people. As a result, a region of people reacted against us – in what seems to be an irrational way. But below the surface, the reaction makes sense. Can’t we make that case about the Tea Party? Didn’t the rest of us intrude on their beliefs and territory? Think about what the Tea Party was founded on — Fiscal Sanity. We spend too much. We’re jeopardizing our future. It’s hard to argue with that. Some of the best minds have been saying this for a decade or more: David Walker, Pete Peterson, and now Alan Simpson and Erskine Bowles. However, the Tea Party gained its political stature thanks to the Great Recession. To make a difference, they had no choice but to join the GOP. It made sense for Tea Partiers. And it also made sense for members of the GOP who were fed up with the deficit spending of Bush and Cheney. But to become a part of a political party in America, you need money. Enter the corporate donations. And once you get that money, then you have to fight for the people who gave you that money. It also means you fight against the opponents of your donors. And fighting means you fight hard and dirty. You gather more weapons. But really all they wanted was a sign — from either party — of spending cuts and deficit reduction. That’s it. That original Tea Party idea is gone. That honest, pure seed of a vision is now an ideology with hatred sounding like an idiot with sound and fury. What could be lost amid the political rubble is the hope for fiscal sanity. The Democrats and the Republicans took that simple and effective idea and shook it and chewed it like a dog with a new toy – until it was not recognizable. It’s the same thing the Swift-boaters did to John Kerry, a war hero. It’s the same thing Bush-Cheney did to Iraq while claiming weapons of mass destruction. It’s the same thing Ronald Reagan did to us to make us feel bigger in the 1980s. We invaded Grenada, a banana republic island that probably confused Karl Marx with Groucho while hosting American doctor students. For the sake of argument here, ignore the racist theme Mel Brooks was giving us in this memorable scene. Instead, think of it this way. 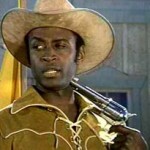 Cleavon Little is actually the whole elected class – including the Tea Party. We, the American electorate are the town folk. Little makes himself look crazy for the entertainment of the town – and to get them to do what he wants. And, we are. We allow ourselves to be entertained by the drama created by our elected class. And yes, part of that is the drama created by the Tea Party — and then exaggerated and exploited by the Democrats and Republicans. So, I come not to praise the Tea Party, but to bury the politics surrounding them. Here’s what needs to be done – once we clear away all the silliness. Spending cuts need to be gradual. We can’t afford drastic cuts now; austerity is not the answer to grow the economy; and it is not fair to Grandma and Grandpa. However, we need mechanisms in place for the next ten years — so we all have the same plan. That plan must also include tax reform and more sanity in entitlements and government give-aways. Stop burying your head in the sand. While Grandma and Grandpa, along with the most vulnerable, should be spared, baby-boomers should prepare for lower benefits, higher premiums, and a longer wait for eligibility. We need to applaud leaders who talk about being efficient and take things away we don’t need. We also need to examine our military spending. Don’t scrimp on defense, but let’s not be providing security for the world or for our defense contractors. If we had thought about this, then we wouldn’t have had to make fun of the Tea Party.